The price just for one duvet cover, size is 48''x72''.Removable duvet cover is made of organic cotton or ultra-soft microfiber with zip closure, easy to keep clean. Both inner layer and cover are machine-washable on a low, gentle setting. Air dry for best results. The outer cover easily zips apart for fast, easy washing and quick drying. 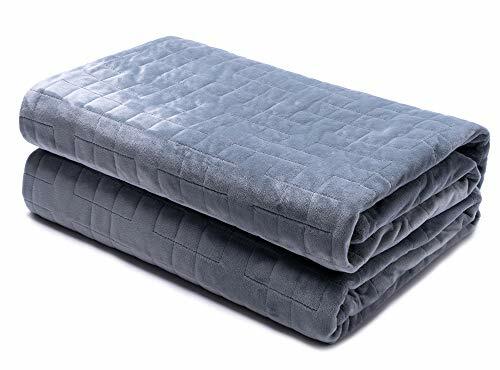 No need to wash the entire blanket like old-style 1 piece blankets that take forever to dry and deteriorate quickly as the weights are repeatedly washed. Both inner layer and cover are machine-washable on a low, gentle setting. Air dry for best results.